Rietveld present at the largest transport fair in Scandinavia! 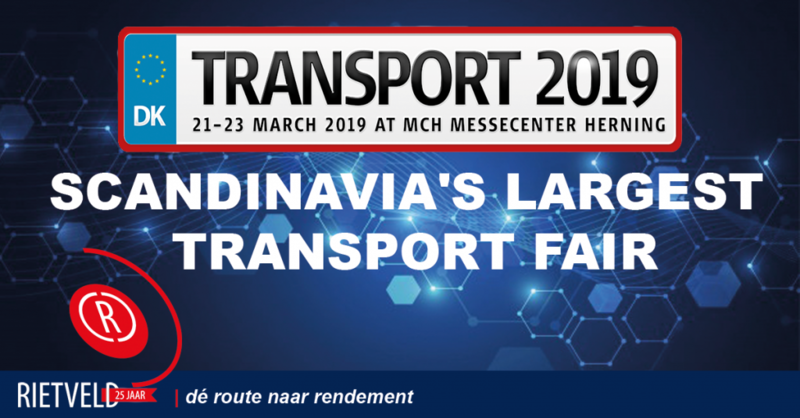 From 21 to 23 March in Messecenter Herning, Denmark will host the largest transport fair in Scandinavia. Transport 2019 is an inspiring exhibition for everyone who is active locally or internationally in the transport sector. This is the place to find new vehicles, new equipment, new services and new ideas. Rietveld will also be present to show the latest on-board computers and fleet management solutions. In a sector that depends on your speed and flexibility 24 hours a day, you need to be able to communicate quickly and effectively with your vehicles. This is exactly where Rietveld provides added value; added value that is guaranteed by our years of experience. Our solutions and services are fully geared towards increasing your enterprise’s efficiency, regardless the field in which you operate. The secret behind Rietveld’s success is a combination of cooperating closely with our customers and a no-nonsense approach. We look forward to working with you and your enterprise! 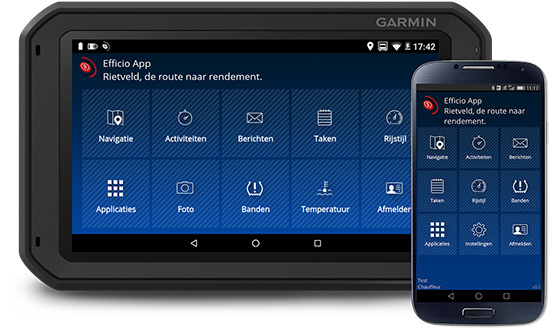 The developments in the telematics sector are very fast. Whether it's tracking & tracing or a fully integrated On-board computer: processes must be faster and more efficient. We have deepened and developed all possibilities with fleet management in recent years, you will find an overview of this on this website. In addition, we have built up expertise in the field of fuel management. We are convinced that much can be saved by proactively stimulating good driving behavior and monitoring fuel consumption. Video: EasyTrack essential in daily operations of Van Vulpen B.V.